Summary (from Goodreads): "… in Your book all my days were recorded, even those which were purposed before they had come into being." —Psalm 139:16 Young Cameron Vaux’s mind is slipping. Memories of his wife, killed two years earlier in a car accident, are vanishing just as his dad predicted they would. Memories he knows he has to remember. His father tells Cameron that to save his mind he must find "the book with all days in it" —the past and future record of every soul on earth. When an obscure clue leads Cameron to a small central Oregon town, he meets enigmatic Taylor Stone, a possible guide to finding the book who seems to carry secrets far deeper than anyone imagines. Local hotshot TV personality Ann Bannister thinks the legend of the book is a farce, but she has her reasons to join Cameron’s search anyway. Finally, there is fanatical New Age guru Jason Judah, who will stop at nothing to find the book of days before Cameron does. I really enjoyed this book. I found it compelling and well written. After just reading a book that lacked any solid character (I will review that a little later) it was nice to see the characters well-developed and CONSISTENT. The dynamic and mystery of the plot kept me turning pages, wondering if Cameron's father was just succumbed by his disease, or if he was actually aware of the conquest he insisted his son embark upon. 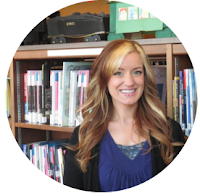 There were honestly some parts I thought I was completely built up only to be disappointed and I thought I would end up throwing the book across the room in frustration. Regardless, I pressed on until the end. 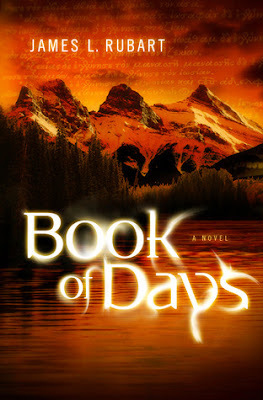 I enjoyed all the twists, turns, and mystery that Book of Days provided. The wrap up in the end was inspiring and thoughtful. I would definitely recommend it as an enjoyably light read.